A Mother’s Day to Remember! Royal Holiday is all about families. And what’s a family without mom? May is all about celebrating Mother’s Day. At the Park Royal Ixtapa, the Park Royal Acapulco or the Crown Pacific Huatulco, Mom’s All-Inclusive is totally free! That’s in addition to super low rates on rooms big enough for the whole family. May is booking up quickly but there are still some terrific opportunities for travel, sun and fun. In this month’s News, we’ve also got news on that most Italian of cruise lines, MSC Cruises. MSC is world-famous for the unique Italian flair they bring to the décor – and the food – on all their extensive line of cruise vessels, some of the most famous ships at sea. 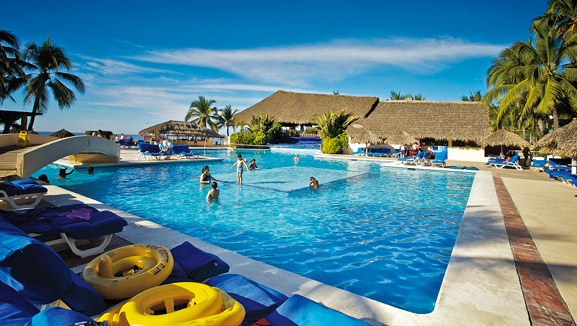 You’ll also learn about how the Riviera Maya stacks up as a vacation destination – next to Cancun. The Grand Riviera Princess is a spectacular resort just a few minutes from Playa del Carmen and Royal Holiday members are already booking. As of May 1, it’s guaranteed to be one of the seasons hottest destinations. If you’re considering Ixtapa for your Mother’s Day, or for any time this year, check out the video on the Park Royal Ixtapa. Close, easy to get to and way laid-back, it’s one of the quiet heros of the Mexican Pacific. Hoping you’re already planning a spectacular 2014, I hope this month’s edition of the News can get you going on a vacation to remember. New hotels by Royal Holiday! Next story Falling in love with MSC or with the Riviera Maya? What’s in a holiday anyway?